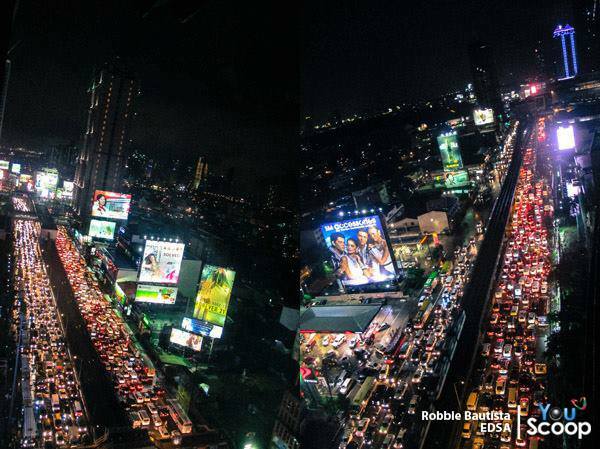 Traffic last night along most of Metro Manila’s roads were a nightmare. It took many people hours before they could reach their homes from their offices and schools. The main reason cited for the horrendous traffic jams was the weather. It has been raining almost every afternoon in Metro Manila and its surrounding areas due to the combination of a tropical depression east of the island of Luzon and the intensified monsoon rains (Habagat). Rainfall intensity combined with a high percentage of the water translating into runoff contributed to flash floods all around Metro Manila including some that were waist-high, rendering the road impassable to most vehicles. However, while a lot of motorists and commuters were simmering along many roads last night, I couldn’t help but notice that most vehicles in the photos circulating in social media sites and news footage are private vehicles. Buses along EDSA occupied only the outermost lane for most stretches of the road. 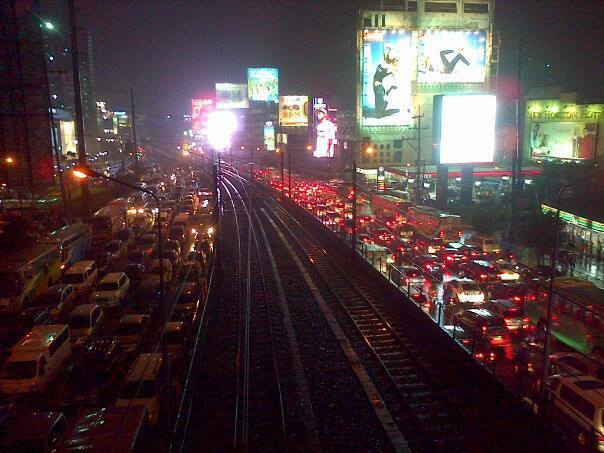 Meanwhile, conspicuous is the space in the middle of EDSA, which is the ROW for the MRT-3 tracks. One lesson we learned last night was something we already knew all along and have failed miserably to address – we need better public transport in Metro Manila. Could there have been less cars on the roads affected by flash floods brought about by the heavy rains yesterday? Could commuters have had an easier way of traveling between their offices or schools and their homes? The answer is yes, that is, we could have built the necessary public transport infrastructure years ago. While there is a need to be transparent and have a corruption-free (is there such a thing?) process for planning, funding, designing, and constructing public transport infrastructure, we must realize that these are all systems that we should have had long ago, and further delay only dooms mobility and accessibility in our cities. Our leaders seem to be too engrossed with processes and making sure they won’t get entangled in controversies or lawsuits that they forget that time is ticking and all other people are caught in the mess that is the traffic congestion we experience every day. I wonder if at least some of our decision-makers for transport and traffic were caught in the monstrous jams last night? Maybe getting caught in one would change their perspectives and give them a sense of urgency for the task at hand? Or maybe, and likely, they were sitting behind their cars and burning time on their notebooks or tablets while their drivers were trying to maneuver in traffic? Frankly, we deserve better transport than what we have but then we don’t get to decide what gets built and when such infrastructure will be built, if at all. We could, however, do our part in lobbying (or demanding) for better transport. By d0ctrine in Economics, Governance, Policy, Public Transport, Traffic Congestion on June 18, 2013 .